As far as I know all roller cams are steel. Itz been a while so I think this was covered, but your 89 block is "roller capable", it will need a "spider" & "dog bones" to go with a roller cam. 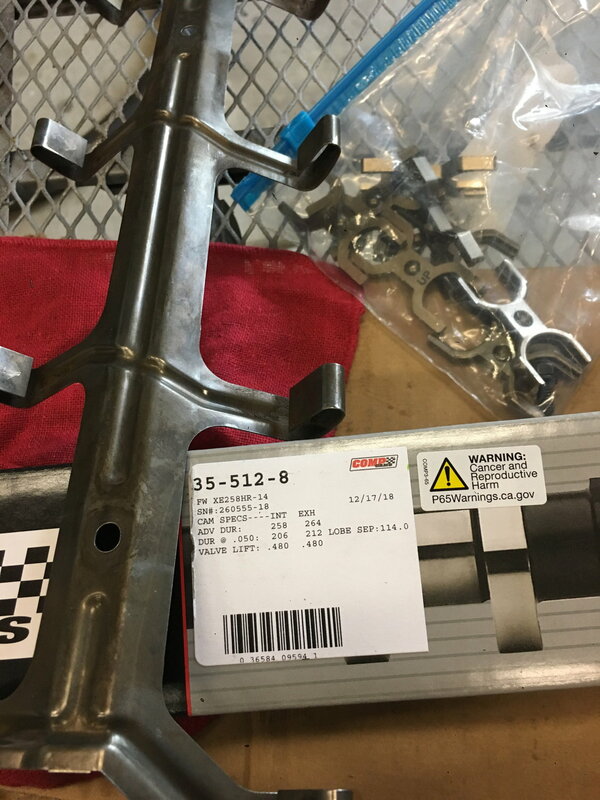 Most all hi-perf small block Ford cams usually have the notation in their specs "must use 351 firing order". You will need a steel distributor gear. I'd also suggest you take the time to replace the PIP sensor in the distributor since you have to press off the gear. The -8 are rollers, so are they steel? The comp cams are a ductile lron core, not billet steel. They use a heat treatment on the lobes to control wear on them. The tech dept. at comp cams told me I could use the stock iron gear. This would be fine for your application if you can't a Motorcraft part. (Edit) larger shaft probably for 351/5.8, my bad. Hope this isn’t a bad sign the drive gear for the distributor that I have looks to be a steel/plastic stock drive gear I need to change out I don’t want to change the hole distributor just the gear it has a roll pin and I believe it’s a press on gear. The machine shop I use doesn’t do this so looking around. The ford dealer says it an obsolete part and can’t even get me a part number. A new year project road block? Wow. That's pretty lame. It's not hard to drive out the roll pin. The physical effort to press off the gear is minimal.